11 luxury coaches, air conditioned and with attached bathrooms. Free internet connectivity, availability of newspapers and television sets. Multi cuisine dining cars, decorated just as replica of royal palaces of Deccan. High tech business centre with video and visual conferencing systems. SPA and Massage cabin where guests can relax and de-stress with authentic Ayurveda and Thai massages. Nazarbaug Palace was built in 1721 and is the oldest palace of the city. This extraordinarily beautiful palace is a treasure house storing guns made from pure gold and silver. This palace is a masterpiece of Deccan artistry with a sparkling Seesh Mahal, which is completely made from glass. Pratap Vilas Palace is now termed as the National Academy of Indian Railways as it is the present training school for the Railways. Depicting Renaissance architecture, this palace is at the heart of a sprawling 55 acres garden. While the entrance is grand with floral carvings, the interior is adorned with decorated columns. Makarpura Palace exhibits Italian style of architecture. The garden is awe inspiring with Japanese designs and joyous with water flowing from Italian fountains. Laxmi Vilas Palaceis an epitome of grandeur and is inspired by Indo- Saracenic style of architecture. Besides the water fountains, Venetian mosaic floors, Belgian stained glass windows and large collection of arms, armours and ancient paintings makes it a heritage building. Aurobindo Ashram is a serene site where Rishi Aurobindo spent his time spreading peace and working for the well being of the people. Stroll through the rooms of the Ashram to read the rare books, meditate and bask in the spiritual ambience. Hazira Maqbara is a memorial with Arabic inscriptions and delicate lattice work. The Merlot design in deep marrow texture gives a unique look to the monument. Kirti Mandir is the mausoleum of the Gaekwad dynasty of Vadodara. The memorial is distinguished with murals, painted by Nandalal Bose, a renowned artist from Bengal. Kanderao Market is a must visit to witness the local life of Vadodara. Walk through the narrow lanes of the Bazaar to pickup some of the special handicrafts of the city. Mandvi Cityis a walled city dating back to the Mughal era. Walk through this royal enclosure to witness some of the amazing jali designs and arts of the ancient times. Lal Baghis an ideal place to sit and relax, jog, exercise or enjoy family picnics. Absorb natural serenity walking over the soft, green grass or cool yourself plunging in the cool waters of the swimming pool. Baroda Museum demands quite some hours of the visitors with its wide collection of books (almost 23000 books), European paintings and Mughal miniatures, pottery from different parts of the country and old coins. 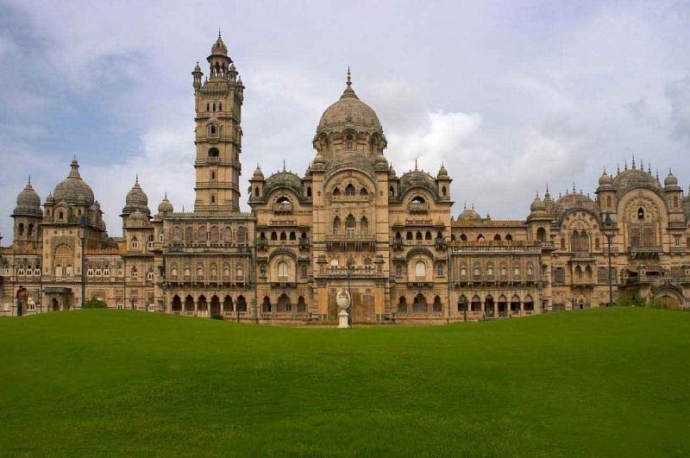 So make this vacation special with a trip to Vadodara, where royalty perfectly blends with the rustic life of the locals. What more? Deccan Odyssey helps you just not witness this golden age of Deccan but also live the regal lifestyle of this terrain. A Guide To Kings Cross Station, London – One Of London’s Largest Train Stations.